Do anda think Daniel Salazar will be in one of those newfangled TWD-verse expansion thangs? What did anda think of 'Blackjack' ? kegemaran character from 'Blackjack' ? What did anda think of 'MM 54' ? I know there's already an artikel talking about this, but I needed to get this out of my chest. This artikel contains spoilers from the Season 3 finale. I am outraged at the wasted potential that was Troy Otto. This is a character study and I just wanna start sejak saying that Troy deserved so much better and so much lebih and that the writers totally fucked him over. 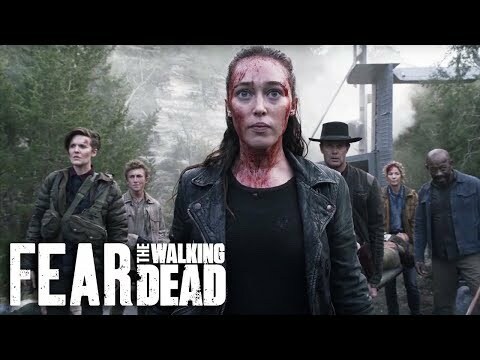 This artikel contains spoilers for Fear the Walking Dead's Season 3 Finale. If anda haven't seen that yet, get lost. The Walking Dead bintang Austin Amelio is headed to Fear the Walking Dead to serve as the seterusnya crossover character between the two AMC shows.